Lindeman’s | Beer Blotter: Seattle based. World focused. 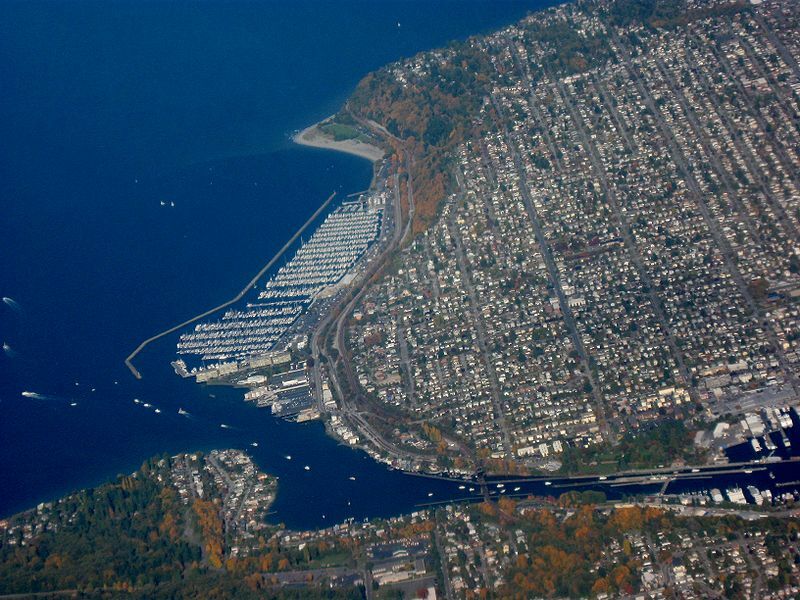 An ariel view of Ballard's ship yard. Historically Ballard is the traditional center of Seattle’s ethnically Scandinavian seafaring community, who were drawn to the area because of the salmon fishing opportunities. In recent years the decline of the fishing industry, and the addition of numerous condo buildings, has decreased the proportion of Scandinavian residents but the neighborhood is still proud of its heritage. Ballard is situated by so many unique landmarks: the Hiram M. Chittenden Locks (a facility that move boats from the water level of the lakes to the water level of Puget Sound, and vice versa and is the location of a salmon ladder); the Ballard Farmer’s Market; the Ballard Bridge and historic Ballard. This neighborhood was Redhook Brewing Co.’s first home, has colorful public art works as well as restaurants with the freshest ingredients. 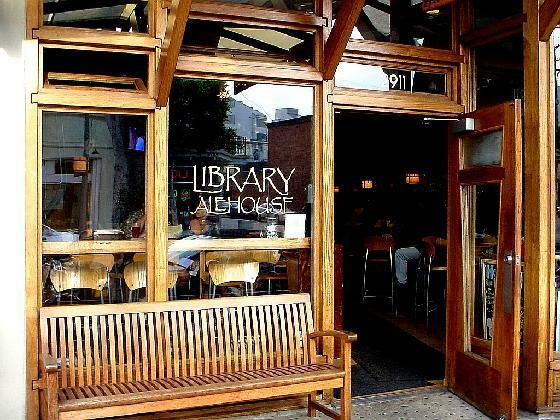 With all of this going on, spending a day in Ballard will keep you entertained. Stopping at these places will satisfy your beer needs. An Irish pub, Old Peculiar has a large wooden bar with a mirrored bar back lined with whiskeys. Cozy nooks and an outdoor patio make this a versitle space while killer tater tots and at least 10 microbrews on tap nurture a bar patron’s desires. A place where the young and the old co-exist, I’ve seen Ninaski, Dogfish head and local brews such as Hales on tap. During happy hour, food items such as Irish nachos, tater tots, chicken strips and chips are $4 with microbrews clocking in at just $3. When does this amazing deal occur? So glad you asked– during the hours of 4-6 pm and 10 pm-midnight ANY DAY of the week. Its been awhile since I have visited Old Peculiar. Located on the main drag, Market St. NW, you step in and immediately your past journeys melt away. The space is a good size- not so big that you have trouble navigating and not so small that you are sitting on a stranger’s lap (unless that is your thing, then don’t let us stop you). There are plenty of regulars and some wildly entertaining people watching. This taproom is home to Maritime Pacific Brewery and is a new space. Before this newer, much bigger space, the Jolly Roger Taproom was located right across the Ballard Bridge in a small warehouse. The old warehouse was used for brewing with the taproom there for us to enjoy the fruits of Maritime’s labor. That’s what beer drinking is all about, right? It was a quirky space that felt as though you were on a shipwreck which fits with the whole Ballard, fisherman, Maritime, pirate theme. Maritime's taproom is shiny and new. Then one day, we were riding past the space and it was empty with a FOR LEASE sign. Oh no! Soon after, we found out that they were just moving to a larger space, but we would have to wait, as the space was being remodeled. I honestly can’t remember how many months past before the new space opened, but when it did, we were the 4th and 5th people in line to experience Maritime’s new dwellings. The new space still alludes to the fisherman, pirate, sea captain theme except the boat is way nicer with bright, finished wood, plenty of natural light and amazing food and beers. I’ll start with some food recommendations: the fried pickles are delicious, as is the dipping sauce they come with, the onion rings are massive and tasty and the mahi sliders are killer– add some of the homemade hot sauce that is on the table. BEERS: Maritime is more or less the staple local microbrew. Even bars that don’t focus any energy on beer will have a Maritime beer on tap and is usually my saving grace. Their dark amber ale, Nightwatch is a personal favorite- it is bitter, smooth and hoppy with that roasted flavor. Maritime has a good line up of beers that will appeal to any beer drinker, so check it out. 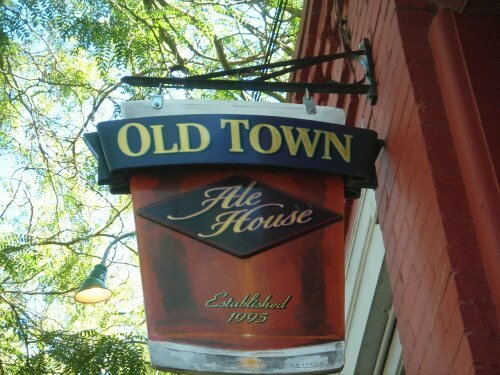 If your looking for something a little more sophisticated, a little more upscale, but still want some damn good beer then stop by the Old Town Alehouse. Their food and beer prices are not outrageous by any means, but the motif lends itself to the low key evening. Every time we walk by here, we pop in to see what they have on tap and generally there is at least one intriguing option. Their beer selection says they are trying to keep a diverse tap list, but aren’t willing to do the research to get the rarer, more innovative beers on tap. Great looking menu, a wide selection of beers - a place I need to visit. For example, currently they have three Belgium beers on tap: Hoegarden Wit, Chimay White Label and Lindemans Framboise. All good beers but commonplace compared to several other Belgium breweries. In looking at their current tap list, it appears that the Old Town Alehouse tries to keep one of every style pouring. Port Townsend Brewing Co.’s Straight Stout, Georgetown Brewing Co.’s Georgetown Porter and Boundary Bay IPA is enough to make me stop in and wet the whistle. I am very intrigued by their menu and its making me hungry. Your average appetizers such as fries, onion rings and hummus are followed by many affordable and delicious sounding options: gumbo, the spicy fried chicken sandwich (smothered in hot wing sauce- SOLD), the Ballard Beef Dip Sandwich (lets see if it rivals Chicago) and fish and chips. All sandwiches are $10.75 and most of the appetizers are under $9. So those of you that have experienced this joint, please leave a comment and let the world know! So that’s Ballard’s beer scene in a nutshell. If you have a place that you love in this neighborhood (I can’t cover them all), leave a comment or email me at jess@beerblotter.com. Tuesday I celebrated my 30th birthday. Well, actually, I use the word “celebrate” loosely. The real celebration was about 2 weeks ago when the greatest friends and family a man could ever ask for threw me a “Dirty 30” surprise party (thank you all so very much!). I also just completed a long weekend away at Treehouse Point, yet another surprise provided by my wonderful girlfriend. Point is, I’ve already done a lot of celebrating, so Tuesday, the actual anniversary of my birth, was more or less comprised of a bit of self-pampering. After a long day at the brewery helping out Rhett Burris of Burris Brewing cook up another batch of his delightful Jackrabbit Pale Ale, I stopped at Ballard Market on my way home and grabbed some ingredients for an epic Skooby-Doo style sandwich (you know, the kind that is so tall that you need to crush it down with both hands in order for it to fit in your mouth) and, of course, some tasty adult beverages. A Dogfish Head 90 Minute Imperial IPA paired very nicely with my turkey (and a ridiculously lengthy list of accompanying ingredients) sandwich. The scent of palisade hops that filled the air of the brewery earlier in the day made me crave this member of the Seven Wonders of the Hoppy World (doesn’t exist, but it should). Honestly, the herbal and malty sweet balance of 90 Minute is so perfect that I believe it would pair nicely with just about anything. I mean, if you told me I had to eat a shoe but I could wash it down with a 90m, I’d eat the hell out of that shoe. The most exciting and noteworthy element of this pampering came at the very end of the night. A simple pleasure, but a pleasure without a doubt – an ice cream float! I took the simplicity to the extreme, using Rogue‘s Chocolate Stout and vanilla bean ice cream, both of which are very easily obtained at almost anywhere selling foodstuffs. I decided to give it a little pizzazz and added a few fresh raspberries. This made me think…surely, in the vast reaches of culinary creation, there must be countless ways to pair beer with ice cream and make it delicious. With all the styles of both out there, what possibilities await us? I did a bit of brainstorming and some research, and I thought I’d share a few thoughts. 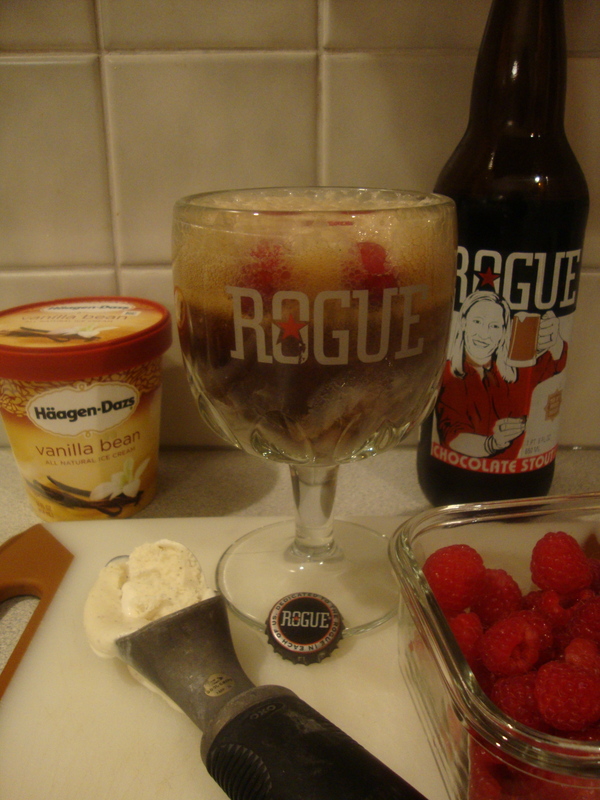 Maybe the next time your sweet tooth comes a knockin’ you’ll whip up a beer float and tell us your thoughts. Sticking with the stout motif, The imperial stouts of Southern Tier would be killer combos with vanilla, chocolate, or even fruit flavored ice creams. Try Choklat, Jah*va, Mokah, Creme Brulee, or Oat. How about fruit lambics and ice cream? Just about any offering from Lindeman’s would be killer with vanilla. A Cantillon Kriek or any of the New Belgium Lips of Faith beers would work wonderfully as well. What about a nut brown ale like Troegs Rugged Trail? A coffee flavored ice cream might go well with this one, or paired with a milk stout like Left Hand‘s. A sweet barleywine like an aged Speakeasy Old Godfather or even an eisbock like Kulmbacher‘s could go exceptionally well with a mildly flavored ice cream. Playing mad scientist with beer and ice cream seems like a darn productive use of time to me. Beer Blotter suggests that you give it a whack and let us know what pairings work best.